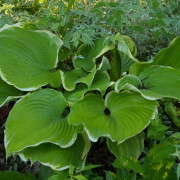 Large: 25″ high by 47″ wide mound of heavily corrugated, blue-green foliage; leaves 12 1/2″ long by 11 1/4″ wide (16 vp), thick-substanced; leaf blade broadly ovate in shape with a deeply lobed base, and generally wavey. 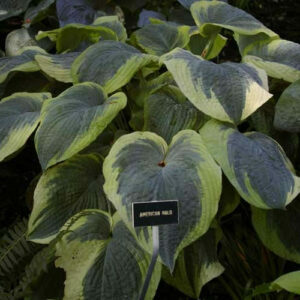 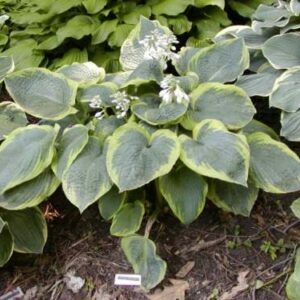 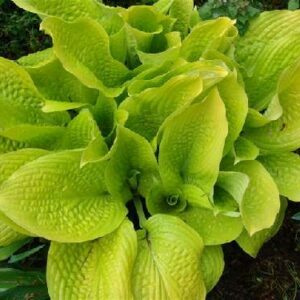 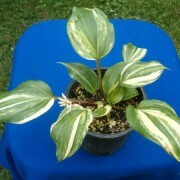 Aksarben’ Hosta -this quirky named hosta is Nebraska spelled backwards. 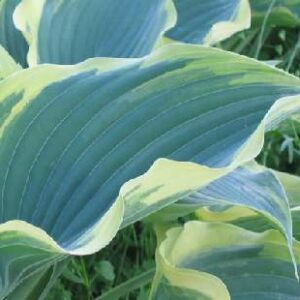 Very blue leaves that will hold the color well into the season. 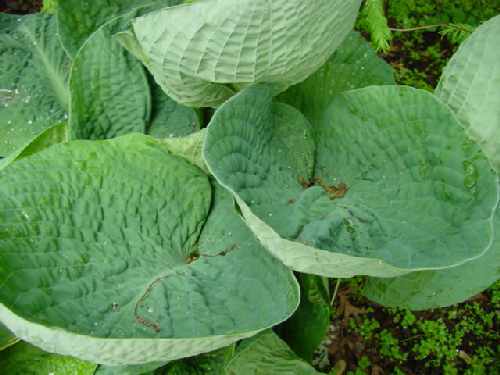 The leaves are held horizontally on upright petioles. 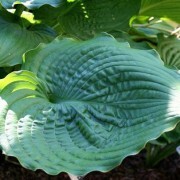 Heavily cupped and corrugated. 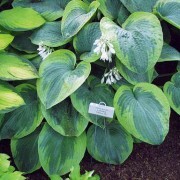 Flowers are near white in June/July.